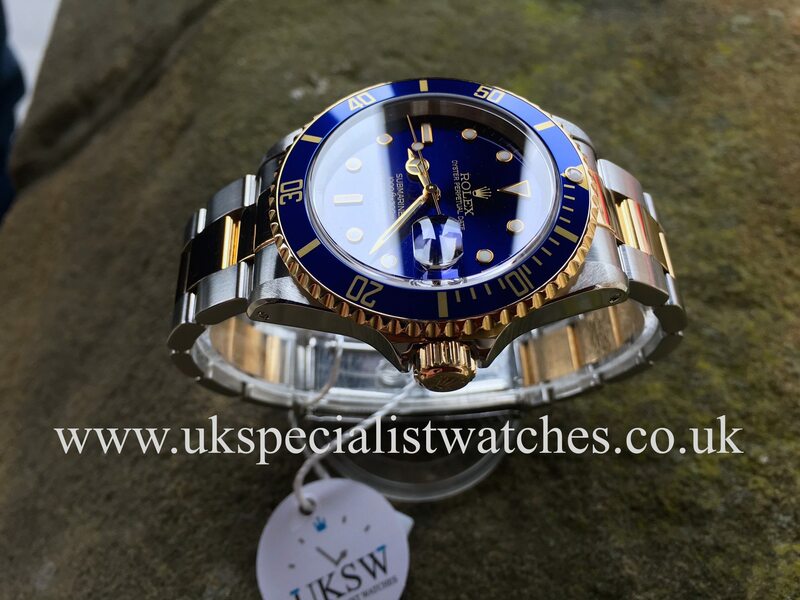 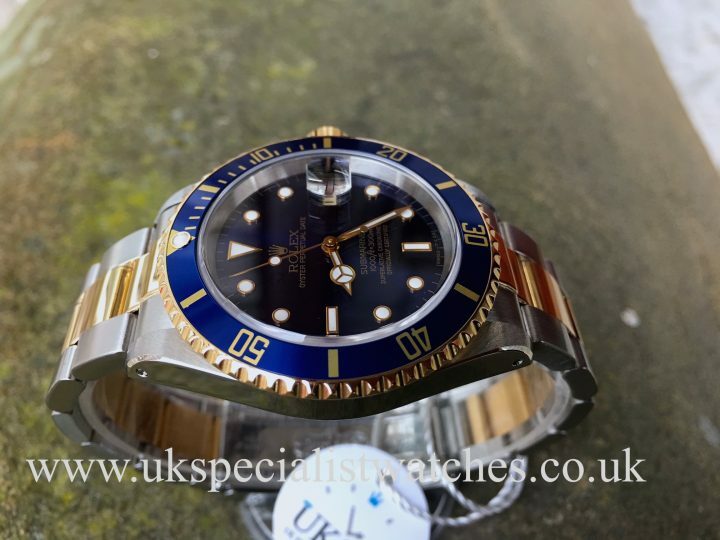 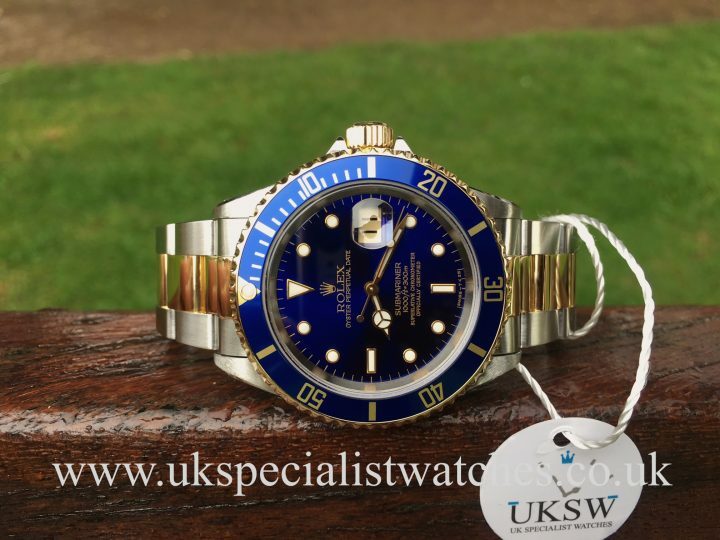 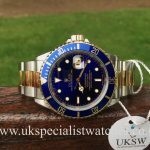 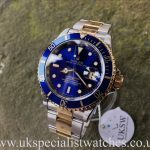 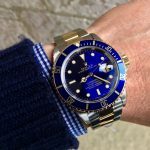 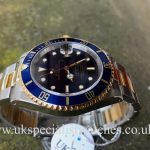 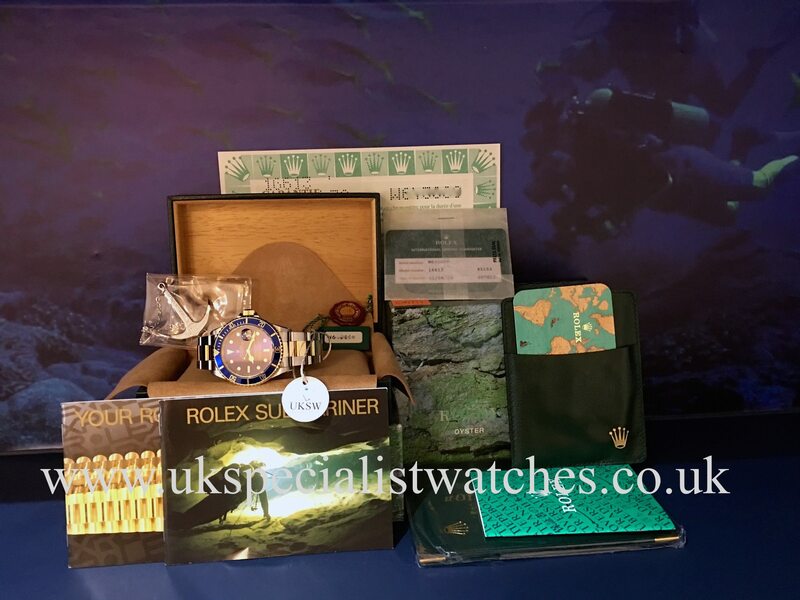 Rolex Submariner Date Steel & 18ct Gold Blue Dial 16613. 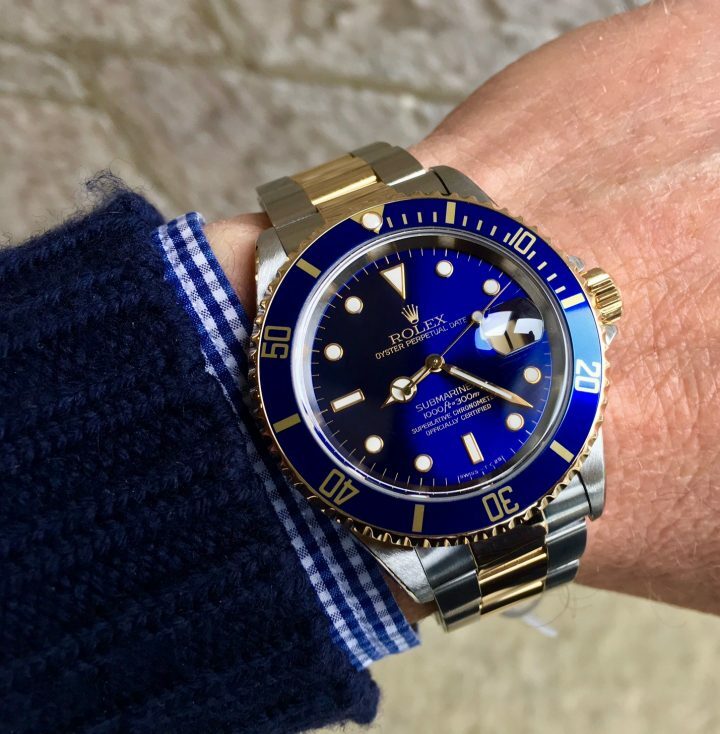 40mm stainless steel case with a solid 18ct yellow gold bezel with the blue insert. Original vivid blue Swiss T<25 dial, fitted to an Oyster stainless steel and 18ct yellow gold bracelet with double folding clasp. This watch is absolutely immaculate with no marks or scratches and still has incredible clear and sharp chamfers on the shoulders, proving very minimal polishing. 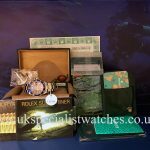 Our one owner watch comes complete with original boxes, stamped punched papers, steel anchor, both swing tags including the serial’d swing tag, both booklets, translation booklet, calendar card and we also have the green leather wallet which is still in its original plastic packaging which has never been touched! 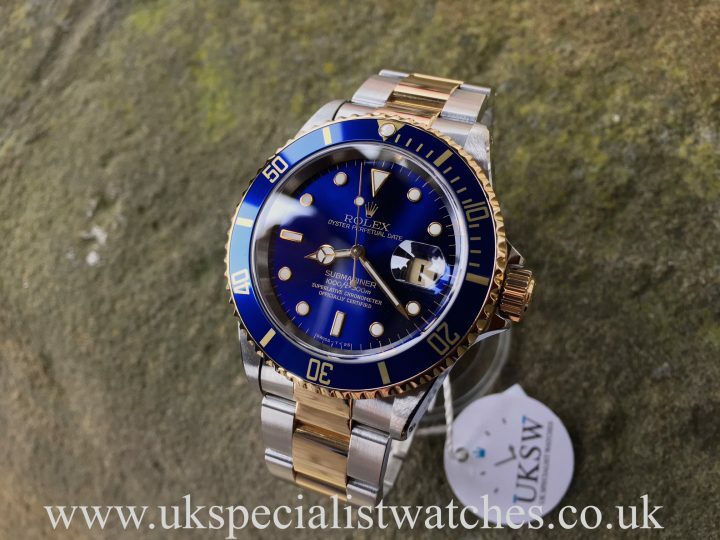 This is one of the last bi metal Rolex Submariner’s to be produced with the Swiss T< 25 Tritium dial. 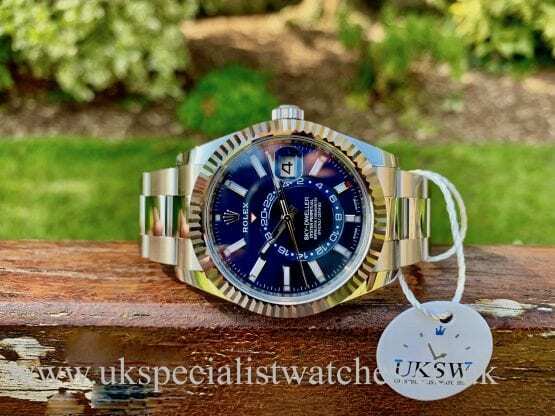 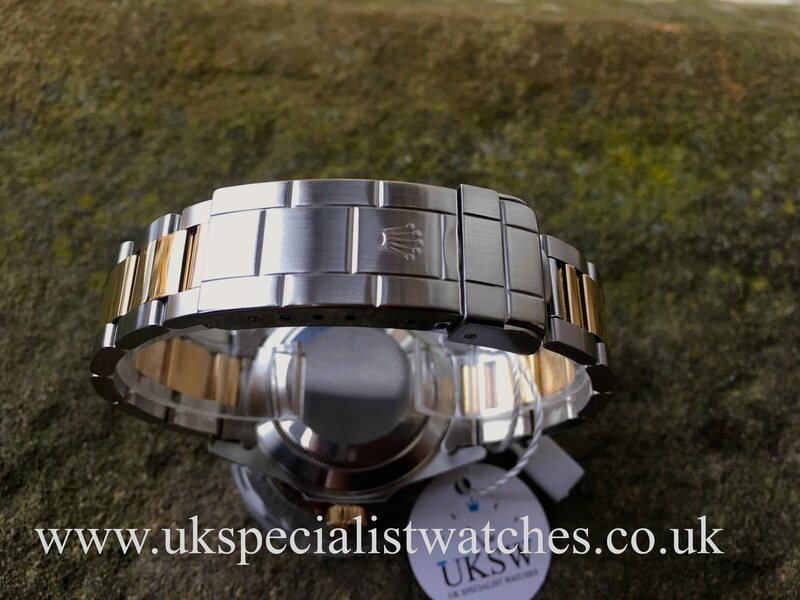 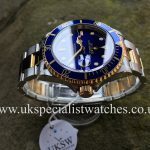 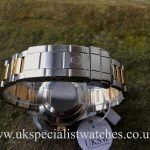 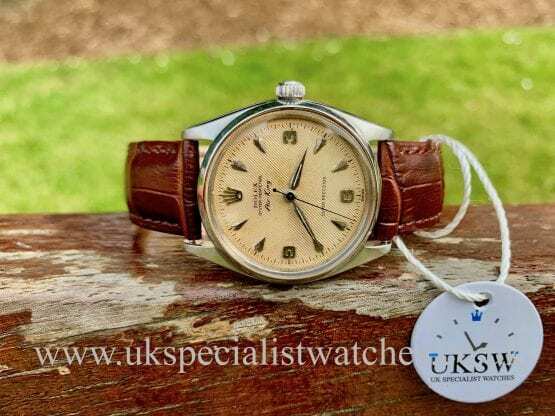 Rolex serviced August 2010 UK Supplied new 1998, W64**** Serial number.